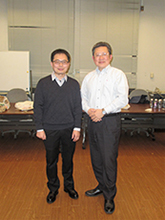 Prof. Peng Liu of Shanghai Institute of Optics and Fine Mechanics (SIOM) is now staying in our group since November 20. He will be with us until January 31 next year for research collaboration. 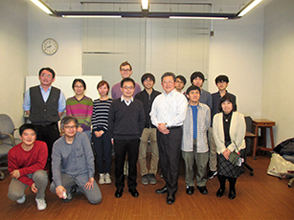 Prof. Liu was a member of Yamanouchi Laboratory for two years between 2004 and 2006 as a postdoctoral researcher.